One of my very close friends got engaged 6 months ago. She is super excited and is taking her time in starting her wedding planning, shooting for a June 2013 wedding. She lives far from where she is planning to get married, and this weekend was her first weekend to search for venues. She was blown away and wasn’t sure exactly how to convey the costs to her hubby. Let alone set a budget. In this approach, you set the total amount of money you want to spend on your wedding overall. 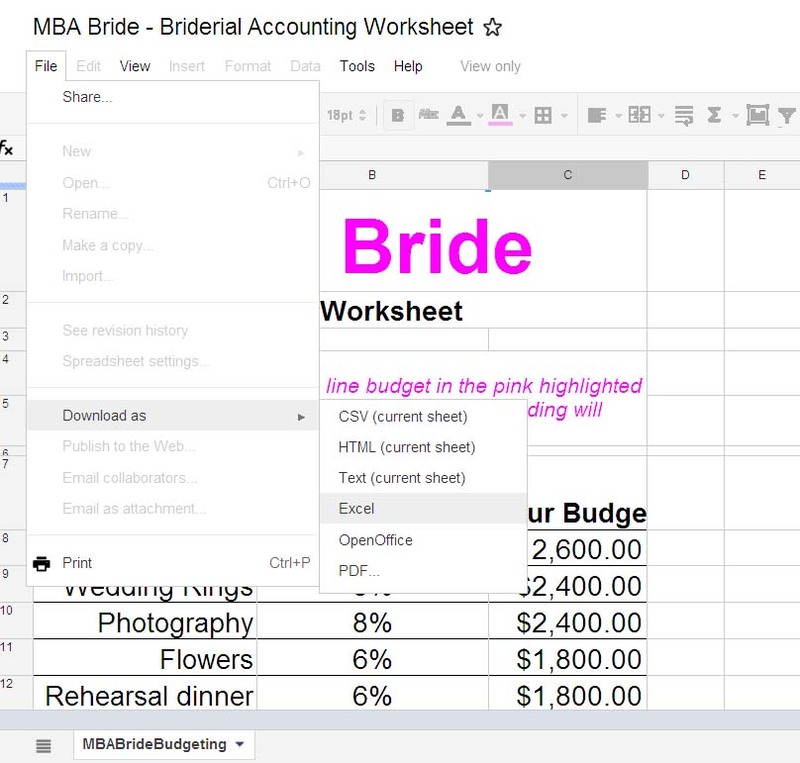 In the worksheet, the top line budget of $30,000 is the pink highlighted cell (C24). In the worksheet, business-savvy brides can set top line budgets according to Mindy Weiss’, celebrity wedding planner, recommendations for each of the cost categories. If, on the other hand, you have your heart set on a particular venue, you can back into your budget with a bottom up approach. A bottom up approach takes one cost categories that you have priced out to estimate the approximate cost of the overall wedding. Use the following formula to find a budget: (approximate cost of item) divided by (percentage of total budget). You can use this formula for any important element of your wedding to help give you an intelligent budget projection to share with your hubster or wedding investors (i.e. Mom & Dad). In both budgeting exercises, keep in mind that you may not use all cost categories. As an example, my fiance and I are saving on transportation and eliminating this element altogether. It works for us because we are getting married in the same place where we are having our reception – allowing us to absorb the 2% of the budget into another section. So if the sight of a $53,000 budget scares you (it scares me), you can find ways to cut costs. Business-savvy brides know that knowledge is power. 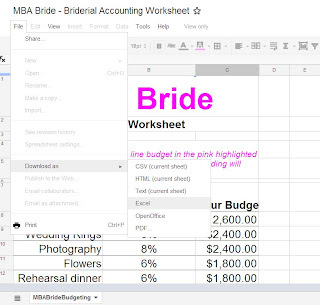 Although your budget will surely change from the one you project with this tool, you, as a business-savvy bride, will know what you’re getting into. So what do you think? Are you scared by the proposed budget or do you find this helpful? Share your feelings in the comments below.